Does the LCTL Center offer classes in (fill in name of a language)? I have an interest in studying (fill in name of a language). Is there any way the LCTL Center can offer these courses in the future? In order to offer instruction in a particular language, several things must come together. We need to see interest from several students, we need to locate an instructor who is qualified to teach that language, and we need to secure financial support for that instructor’s salary, course materials, and training. Please fill out this survey if you would like to express interest in learning a particular language that we do not offer. I would like to take a test to show that I have proficiency in one of your less-commonly-taught languages in order to fulfill my foreign language requirement at Pitt (or at another university). Can I be tested at the LCTL Center? Yes, we offer proficiency testing in the languages that we teach. Please contact us for more information. 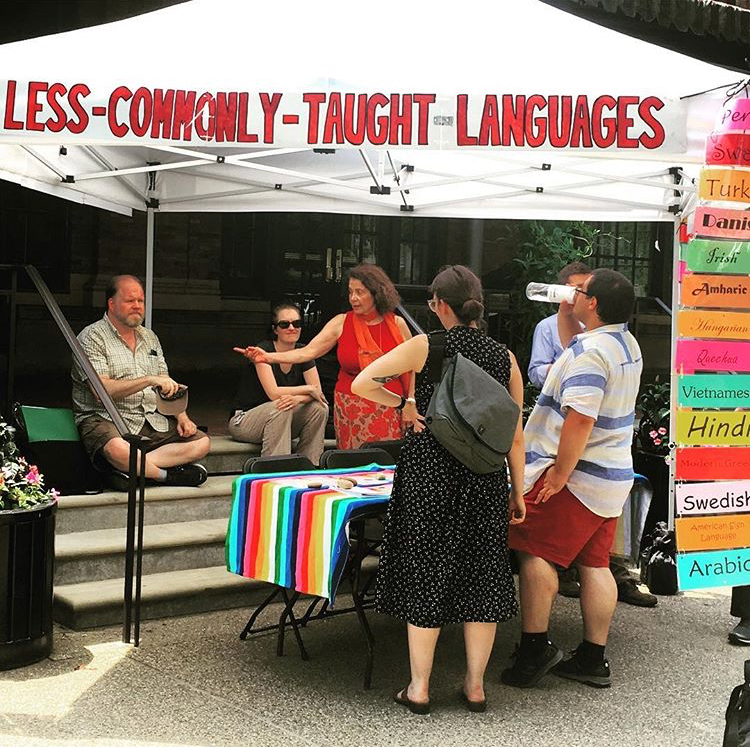 Can I take your language classes if I am not currently a student at the University of Pittsburgh? Yes! If you are not a University of Pittsburgh student, but you are enrolled as a student at one of these Pittsburgh colleges or universities, Carlow College, Carnegie Mellon University, Chatham College, Community College of Allegheny County, Duquesne University, LaRoche College, Pittsburgh Theological Seminary, Point Park College, or Robert Morris College, you can cross-register for a class in the Less-Commonly-Taught-Language Center through a program provided by the Pittsburgh Council on Higher Education. Contact the registrar’s office at your primary college or university for instructions on how to cross-register. If you are a Post-Baccalaureate Student (you have already completed your bachelor's degree at Pitt or another institution) or if you are currently enrolled as a degree-seeking student at another college or university and want to take a few undergraduate level (no graduate level) classes at the University of Pittsburgh as a Guest Student, you must apply through the College of General Studies as a Non-Degree Student. Students may be referred to Admissions for more information. *The American Sign Language (ASL) Studies Certificate and the Arabic Language and Linguistics Certificate are only available to students currently pursuing an undergraduate degree. Graduate students and non-degree-seeking students are not eligible to enroll in LCTL Certificates. Is LCTL part of the Language Media Center? The Robert Henderson Language Media Center and the LCTL Center are both parts of the Department of Linguistics. The RHLMC can be found in room G-17 in the Cathedral of Learning.